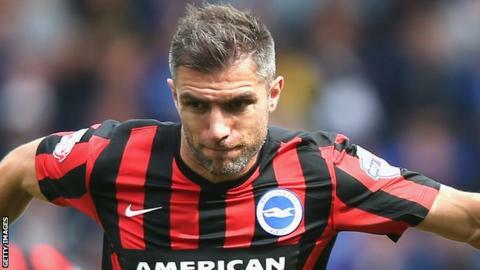 Northern Ireland internationals Aaron Hughes and Paddy McCourt are to leave Brighton and Hove Albion at the end of the season. Both had been on one-year contracts with the Championship strugglers after joining last summer. Former NI skipper Hughes, 35, was former Brighton boss Sami Hyypia's first signing while winger McCourt, 31, has been on loan at Nott County. Brighton's last match of the campaign is away to Middlesbrough on Saturday. Defender Hughes and wide man McCourt are still key men for Northern Ireland who are attempting to qualify for the finals of the European Championship for the first time. Michael O'Neill's men are currently second in the Group F table, just one point behind leaders Romania who they play in Belfast on 13 June. International boss O'Neill will be anxious to see both players settle their club futures as soon as possible. Defender Hughes started his club career in England at Newcastle and has also played for Aston Villa, Fulham and Queen's Park Rangers. McCourt starred with Derry City in the League of Ireland before moving to Celtic.